Following Isaac Clarke’s horrific journey during his time on the planet-cracking ship, the USG Ishimura, Dead Space 2 is a sequel that introduces new elements to the series while disbanding with some previous ideals. Some of the newly introduced concepts have their uses and are relatively fun and easy, yet not all of them fall under this category. The story takes place three years after Isaac Clarke escaped the nightmare aboard the USG Ishimura. He has been kept in stasis this whole time and doesn’t seem to remember a thing. Brought back to help during a new Necromorph outbreak aboard the space city known as "the Sprawl," he must fight his way through Unitologists, government workers, and both old and new Necromorphs, his main goal being to destroy a newly-created Marker which is being protected at all costs by members of EarthGov. While the story sounds fascinating on paper, it is delivered rather poorly throughout the game. 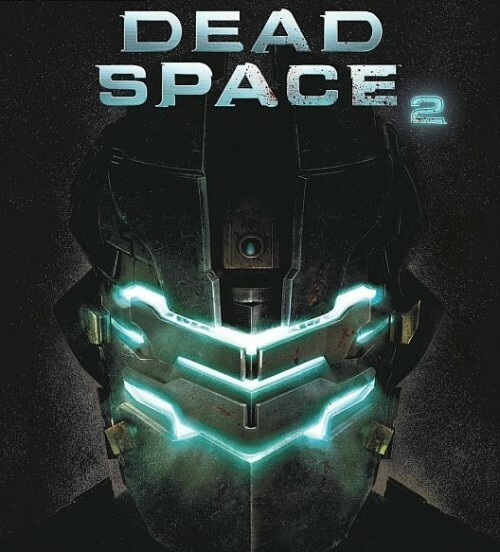 Dead Space 2 falls back on the previous game’s downfall: that Isaac is merely moving from place to place because someone else told him to do so. This problem is even worse, however, in that the people talking to you don’t clarify what it is you’re supposed to be doing. You can travel through nearly three of four areas, not knowing where you are, before discovering what purpose you have in being there. It is confusing, disorienting, and oftentimes frustrating. I had to replay the game’s first several chapters just to understand what the point of it was, and such a thing should not be a problem. While the storyline itself comes off as being somewhat poor, the elements that bring the story to life are very well executed. Isaac now speaks throughout the game, and his dialogue fits him quite nicely. He is obviously a man who is perturbed by his past, and his experience with the Necromorphs comes through in his dialogue. He is a survivor with nothing to lose, and he reveals this through his conversations with the remaining survivors on the Sprawl. His messages and video logs are oftentimes hard to hear, however, even with the volume turned up, and subtitles are almost necessary to catch everything Isaac and the other people are discussing. Sound effects during the course of the game are both well produced and well timed, somewhat making up for lost words. The first Dead Space was known for its horrific images and gruesome, nightmarish areas. While Dead Space 2 delivers on its horrific images and enemies, the game isn’t as scary as its predecessor due to an increased amount of action sequences. There were only a few places where I jumped in fear, and never once did I hesitate to enter a room. It could be because Dead Space fans know what to expect, but it also comes from Isaac’s attitude mentioned earlier. He has experience and a lack of care towards survival; he is going to get the job done, and to hell with whatever comes his way. Another reason for this is the game’s increased difficulty. Even after mastering Dead Space 1, I found Dead Space 2 to be quite the challenge, and given that there are now up to five difficulty options available, it is easy to assume that the producers were specifically aiming for an action-type game. Guns and armor (which are now specialized, individual suits rather than upgrades to a single suit) can be purchased at the store, and newer weapons have some nicely added effects. Melee is also much more impressive this time around, as Isaac’s swings and kicks are fluid and effective. In conclusion, all this combined means that enemies are less scary but tougher to deal with. The environments in Dead Space 2 are gorgeous. Instead of crowded, packed-in hallways and gray, metallic facilities, the Sprawl is filled with facilities, such as a train station, a daycare center, and a shopping mall. Areas are much more open, and the amount of detail placed into the different objects adds a unique touch to the game’s overall quality. Lighting is particularly effective, as Isaac’s shadow and flashlight are very well defined, and the images located on the various televisions, monitors, advertisements, and stores all hint towards a much more peaceful time. Players can easily picture people living in such an environment, and to see it now overrun with Necromorphs and covered in blood is tragic. When navigating these areas, an upgraded locator module becomes extremely useful. Instead of just pointing Isaac in the right direction, the new locator shows objectives, stores, benches, and save stations, making it easy to navigate when one gets lost in the often-twisting hallways of the Sprawl. Another upgrade used for traveling is the capability for 360-degree movement in zero-gravity zones. Instead of jumping from one wall to the next, Isaac can now fly in any direction he wishes, using his boots to travel quickly. Perhaps the most interesting aspect of the game is Isaac’s dementia, which plays a huge role in the story. Nicole appears in the form of a ghoulish corpse from time to time, talking to Isaac over her death and his guilt, and the images he sees due to his dementia are perhaps the most horrifying elements to the game. It is clear that Isaac is haunted by his dead girlfriend, and her appearances reveal a darker side to Isaac’s thinking. His conversations with Nicole, as well as the terrifying visions that accompany her appearances, add an element to the story that will stick with gamers. Overall, Dead Space 2 is an enjoyable game. While the plot doesn’t go very in-depth this time around, the gameplay itself is smooth, fun, and a bloody mess. Players watch the return of Isaac Clarke and his haunted visions, and with five difficulties to master, there are plenty of opportunities to get all weapons, suits, logs, and achievements. And hey, if the single player mode sounds boring, why not play with friends online? The game also has a multiplayer aspect, where online gamers can either carry out a mission as a human or attempt to stop all humans as a Necromorph. This review is based on a retail version purchased by the reviewer.